Highly visible 562 sq. 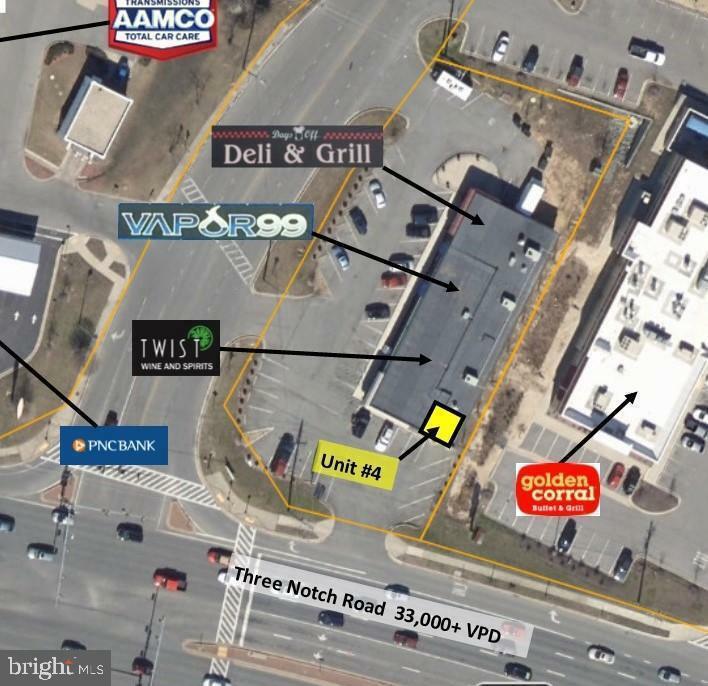 ft. unit in retail strip center with over 33,000+ daily traffic volume at the corner of Rt. 235 (Three Notch Road) and Millstone Landing Road with 342~ of combined road frontage and three commercial entrances. With over 45,000 residents in a 10-mile radius the location is perfect for a small professional office or retail space. Current tenants include a restaurant, vapor shop and liquor store. Neighboring businesses include a Golden Coral, PNC Bank, Subway, Little Caesars, Mission BBQ, Famous Footwear, Dollar Tree and Shoppers Food Warehouse. Located just 1.5 miles north of NAS Patuxent River Gate 1, a $3 billion economic engine employing over 25,000 workers and is home to the United States Naval Air Systems Command (NAVAIR) and Naval Air Warfare Center Aircraft Division (NAWCAD). St. Mary~s is ranked 7th in the United States for off-the-radar tech hubs and is one of the fastest growing regions in Maryland with steady population and job growth. Located just 38 miles Southeast of Washington D.C. the area picks up exurban migration from DC/Baltimore metro region.